Why? This solar technology is distinguished by its use of mirrors to capture light and focus it onto a small generator to produce electricity and thermal energy. 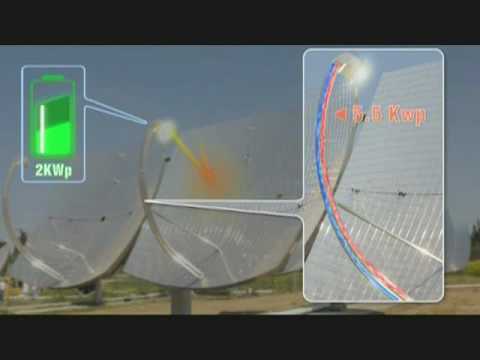 The parabolic optical dish follows the sun from dawn until dusk, harnessing seventy percent of the solar energy that hits it, making it much more efficient than conventional flat photovoltaic panels.